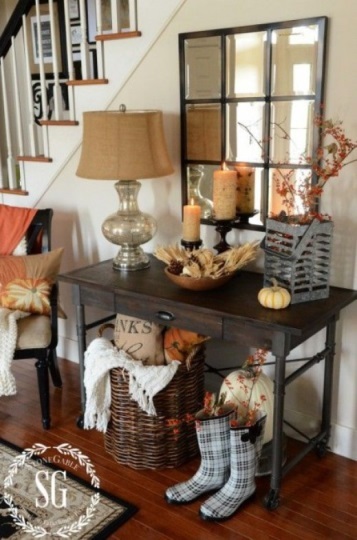 Are you looking for a few ideas to decorate your home for fall? 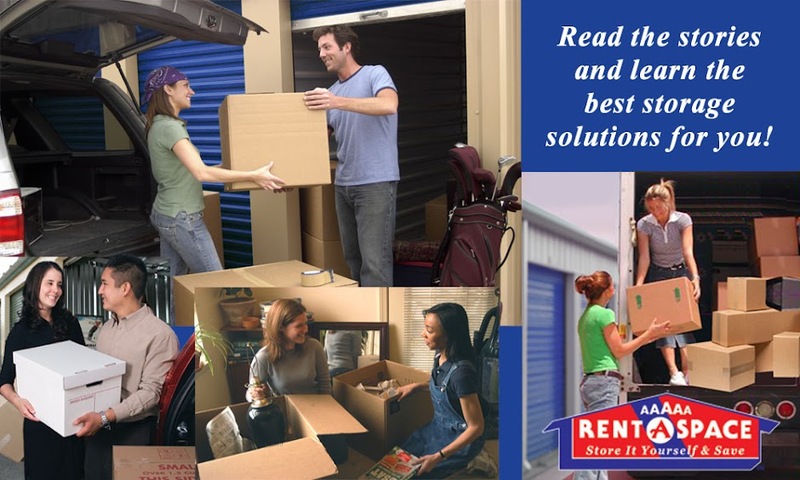 Take a page out of Fashion’s book and apply the same strategies to your home. Here are a few easy tips to follow when decorating your home this season. Think of layering your items at home. In fashion, we often think of layering as adding texture, pattern, and complimentary colors, to an outfit through different pieces. 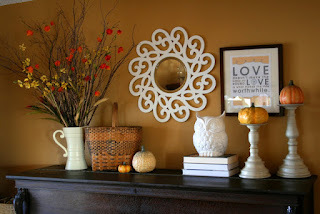 The same principle can be used in decorating your home. Add texture and pattern through drapes, blankets, pillows or rugs. You can even layer textures through place settings on a fall table with placemats and napkins. Be inspired by the colors of fall. You can find these colors in nature such as browns, oranges, greys, golds, taupe, etc. 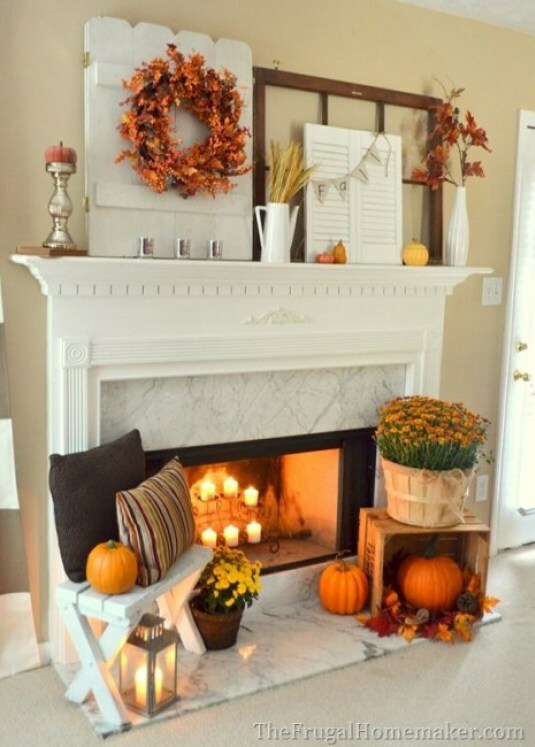 Those earthy and warm colors can be brought in through table settings or items placed on a mantle (add candles, leaves, fall flowers, etc.). Don’t forget your accessories. You can add seasonal touches through decorative items such as a rustic bowl, frames, framed mirrors or pieces of art. 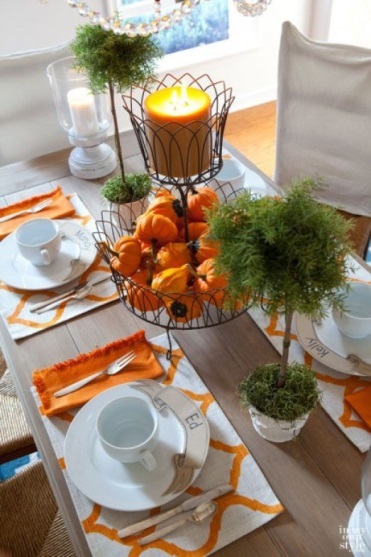 These items can be in complementary colors to add depth and visual interest to the room. 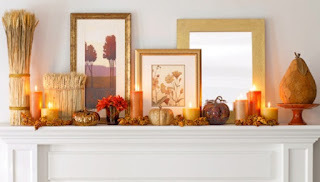 Also think of scented candles and diffusers with fall scents such as vanilla, nutmeg, cinnamon or pumpkin. Certain scents can evoke memories of fun seasonal activities or special meals from the past for you and your guests. 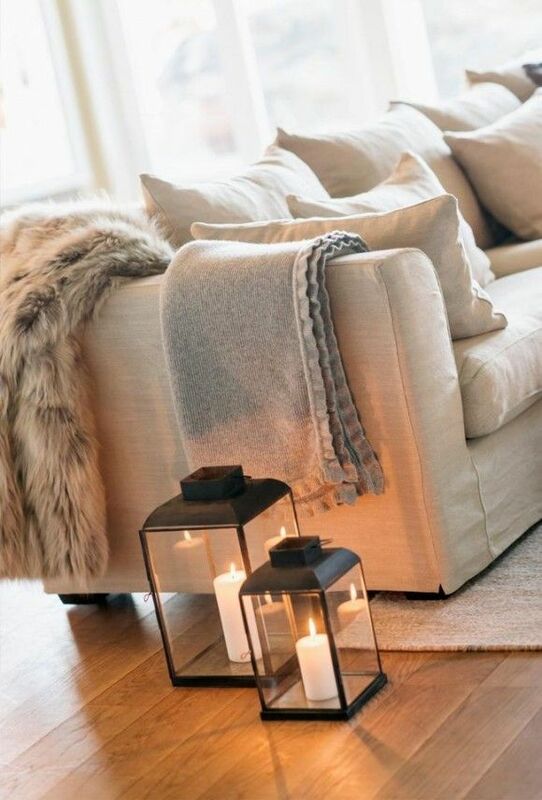 For more home & seasonal decorating ideas, check out our Home Décor and Seasons Greetings boards on our Pinterest Account.